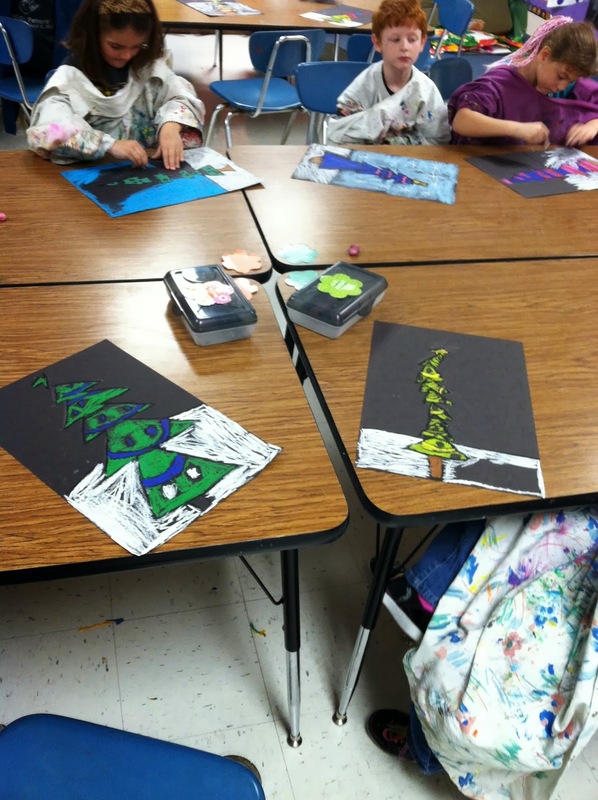 Some of the first graders and Kindergartners created these fun Christmas trees this week for their last project before winter break. We drew a triangle at the bottom of the paper, and then continued to stack triangles up until the top of the tree. 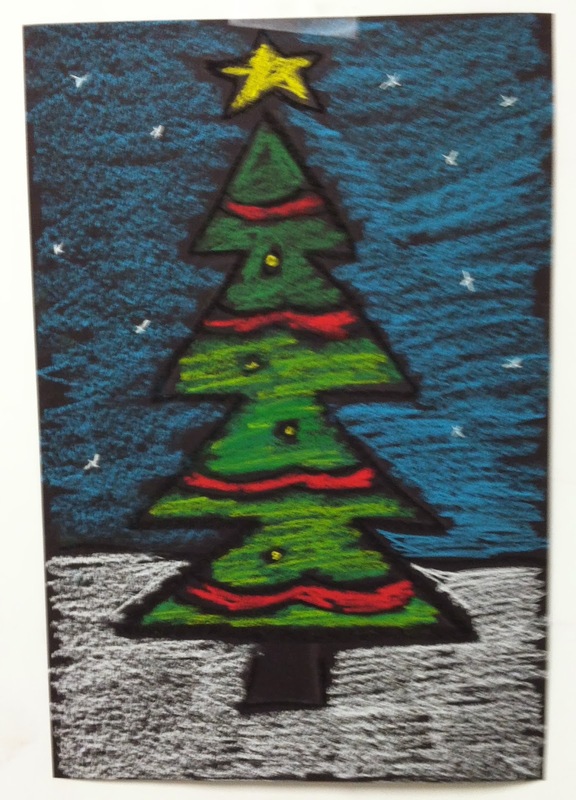 Then we added a star and a trunk. 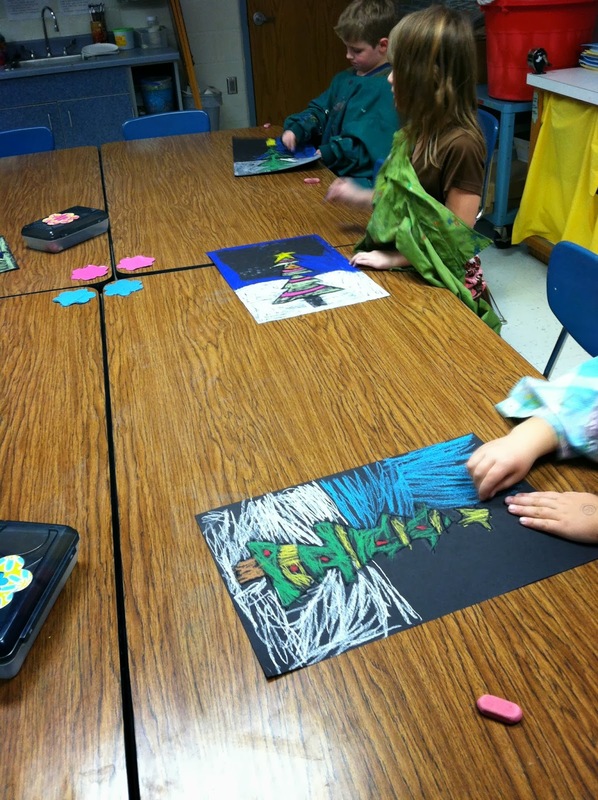 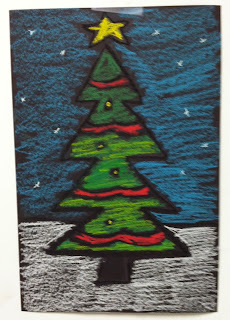 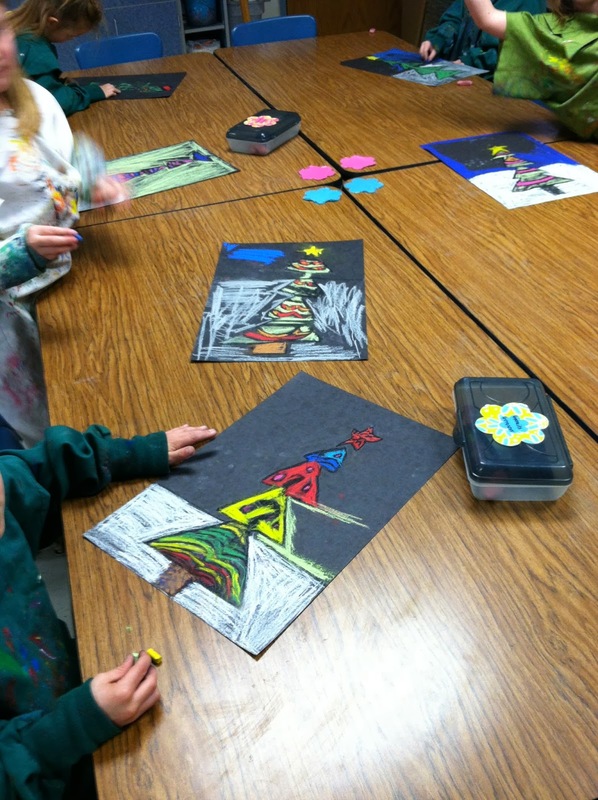 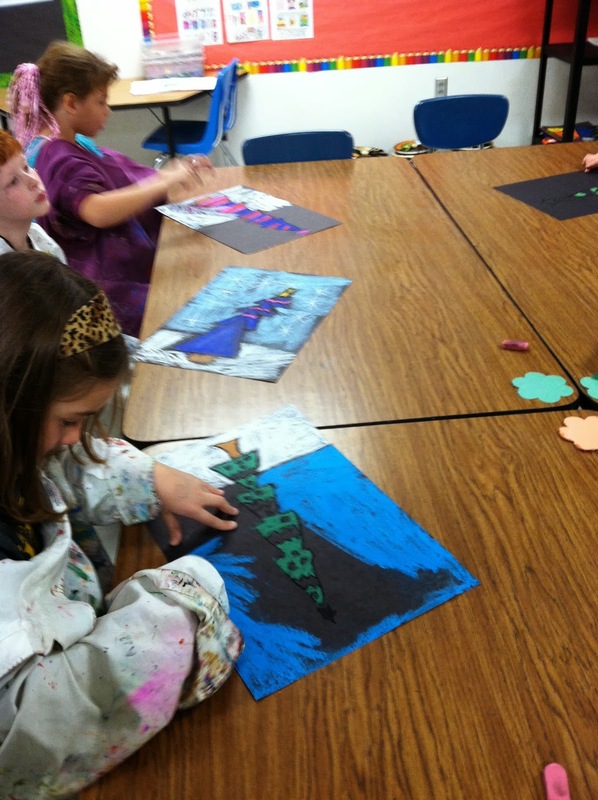 We traced these with black oil pastel, then colored with soft drawing chalk. 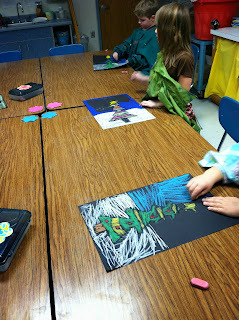 They were messy, but fun. Each one turned out so different!